McIntosh High School Chiefettes. Photo/Fayette County School System. 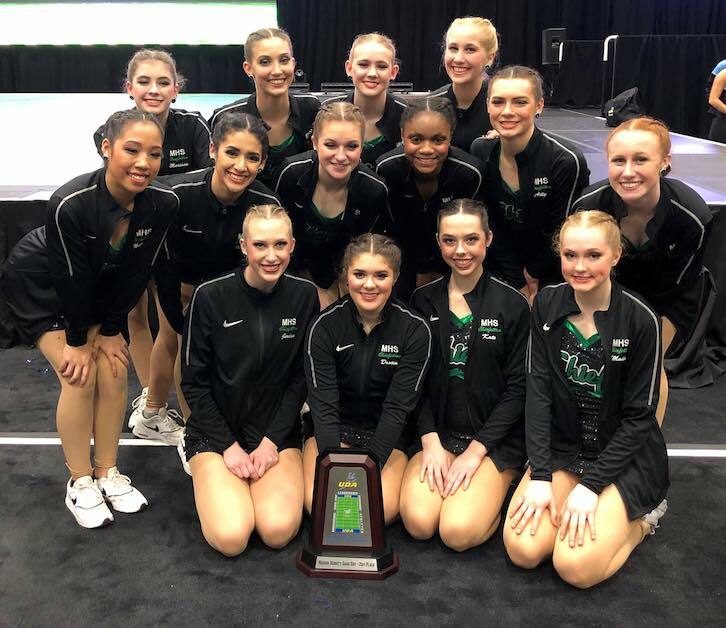 The McIntosh Chiefettes dance team competed this month at the UDA National Dance Team Championship in Orlando, Fla., and placed 21st in the nation for their game day routine. They also made it to the semi-finals in both pom and jazz. Over 6,000 dancers from 36 states compete to win national titles. The Chiefettes previously competed in the UDA Regional competition in Hoover, Ala., on Jan. 26, where they won first place in small varsity jazz and third for small varsity pom. They also won the choreography award for their pom routine. The UDA Peachtree City Championship will be held at McIntosh High School on Feb. 9 where the Chiefettes will compete, followed by a GHSA Invitational on Feb. 16.